Before my first birthday my parents moved me in to the grounds of a psychiatric hospital, where they lived and worked. Here I spent the next 17 years of my life witnessing what went on within this environment, and would eventually work as a nurse myself for over 13 years. The reason that I am The Heart Guy is that my background is nursing, and I have worked for many years on a coronary care ward and have spent decades working with the psychology of heart issues. Training teams and mentoring students in people skills, resilience and how to present/network has been a recurrent theme throughout all of my careers. From working with thousands of people with health and business challenges I believe there is a Lunatic Gene that can cause you temporary insanity. For details of any of my training programmes or speaker services, contact me now at adam@adamshaw.co or via the link below. Adam is a profound, insightful individual who is able to look at situations objectively. He is wise, spiritual and always able to support individual during difficult and positive times. He has become a special friend and has played a big part in the launch of my new company, Supernova Jobs. Adam has Heart in abundance! Professional, knowledgeable, dedicated and fun to work with. Highly recommended. 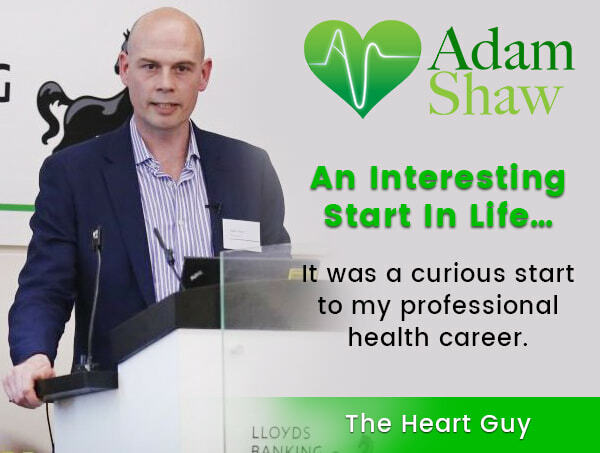 Adam is a genuine, caring person with a unique insight into maintaining a healthy heart and ensuring you live a long and healthy life. Just a couple of hours spent with Adam will provide you a deeper understanding into what maintains a healthy heart, especially yours. You will be surprised and astounded at his source and level of his knowledge. Check him out and take a walk with him....literally. Adam was great at finding the next step for me when I needed direction. I received coaching from him and joined him on his walks on many occasions. He is straight to the point and an expert in health and well-being. Adam is a highly professional and knowledgeable individual. He is a pleasure to work with, great fun whilst also enabling to get his serious message across. I would have no hesitation in recommending to anyone as someone with high integrity and honesty. Adam is 'the real thing'. He lives, loves and teaches his Active Energy System. Who better to learn from?! Talking with Adam was just amazing. 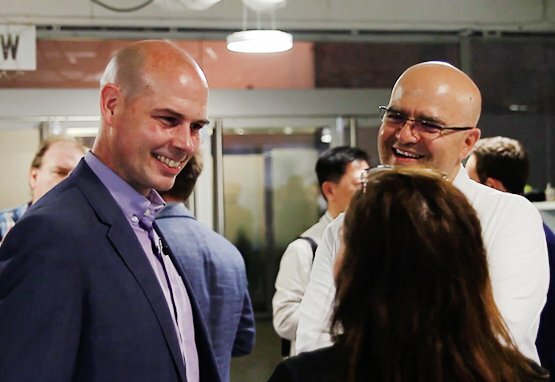 He is not just a great person, but also very knowledgeable when it comes to start-up's and finding the right strategy to grow the business from scratch. He really took the time to fully understand the situation first for providing me with great advice in how to move further and growing my business in the most efficient way. I've been attending Adam's networking group for a while and am always impressed with the caliber of networkers attending his meetings. Adam clearly has a great rapport with his contacts, who always speak very highly of him, which attracts more great people to his events. I highly recommend attending one of his events and experience his professional network. I attended Adam's networking and Pitch workshop and i must say it was the best investment I've made in my personal development. Meeting great people and learning how to became a better business owner over short space of time. I would definitely recommend any business owner attend one of Adam's pitch workshops.